Written in 1962, the challenge he eloquently expresses, on being saints for this age, is perennial, just as current as ever. 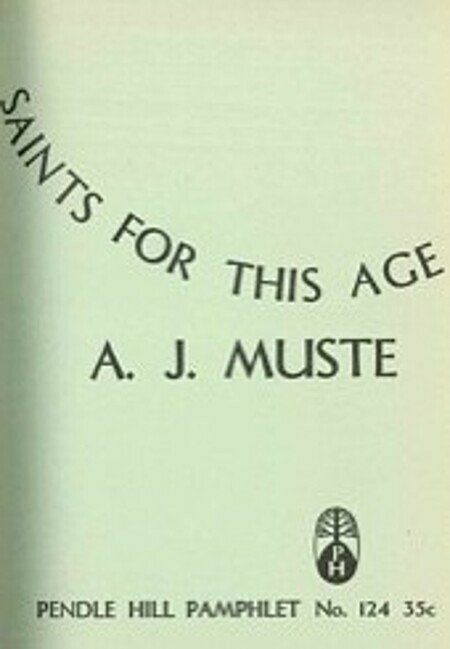 Muste, a great spiritual activist, was a prophet for the age. This is a wonderful inspiring pamphlet.